In the village, they made a Kiva. 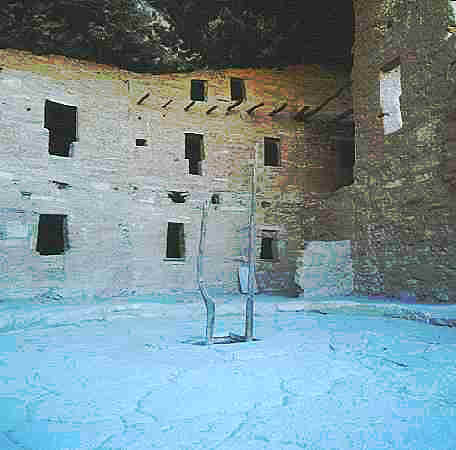 Kiva is place for ceremony of religion. Some are small and some are big. This is a big one.